Cerebral Palsy refers to a group of neurological disorders that affect body movement, balance, and posture. In many cases, speech, vision difficulties, seizure or cognitive problem are also affected. It is caused by the abnormal development or damage to a part of the brain that controls movement. It usually appears early in life, usually in infancy or early childhood. Symptoms of a child with cerebral palsy vary from one person to person which may include: delayed in reaching developmental milestones, weakness in one or more arm or leg, lack of muscle coordination when performing voluntary movements (ataxia), muscle spasms, muscle tone that either are too stiff or too floppy, fidgety, jerky or clumsy movements, walking on tip-toes, or excessive drooling or difficulties swallowing or speaking. There is no known cure for the condition, but supportive treatments, therapy, medications, and surgery are facilitated to improve the life of the child. 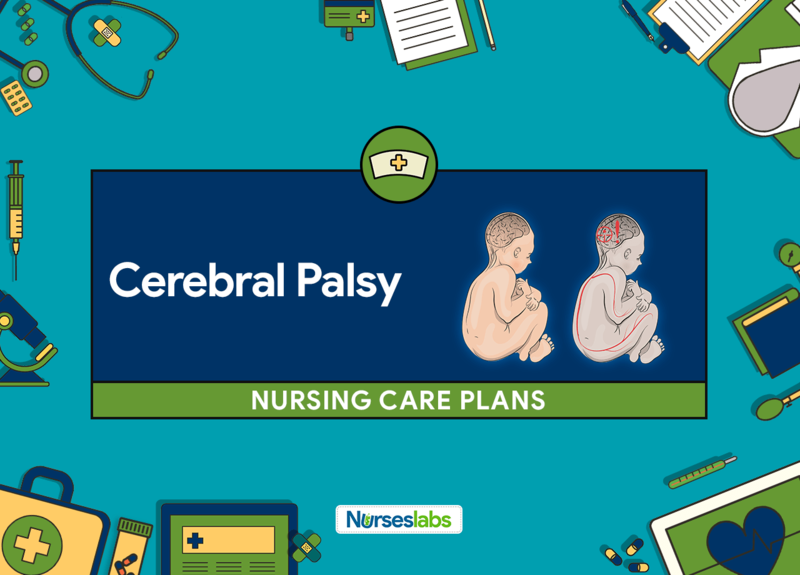 Nursing goals for a client with cerebral palsy include optimize mobility and prevent deformity, improve nutritional status, strengthen family support, foster self-care, enhanced communication and provide quality of life. Child/infant will achieve maximum movement ability and absence of contractures. Assess the type of auditory, visual, motor, or intellectual deficit. Knowing the type of deficit will aid in planning interventions appropriate for the child. Do a developmental assessment and note the development of milestones (such as stand with help, or walk when led). A client with cerebral palsy usually has delayed developmental milestones. Allow the child to perform activities or care routines at his or her own pace. A child may have difficulty completing tasks in time compared to normal children. Encourage the child to rest between activities that are tiring. Given the limitations of the child’s ability, rest periods are given to maintain energy. every 4 hours for the child unable to move body parts. Children with cerebral palsy have a decreased range of motion (ROM) due to limited mobility and the presence of spasticity. ROM exercises promote movement and minimize the risk of contractures. Educate the family on how to use an orthotic device as indicated. Orthotic devices help build stability while increasing strength, balance, comfort, and independence. These medications are used to treat uncontrolled body movements such as tremors, muscle stiffness, and spasms. These medications are used to relax contracted, overactive, or stiff muscles. These medications are given to reduce or prevent seizure activity. can provide specialized services in promoting effective mobility.